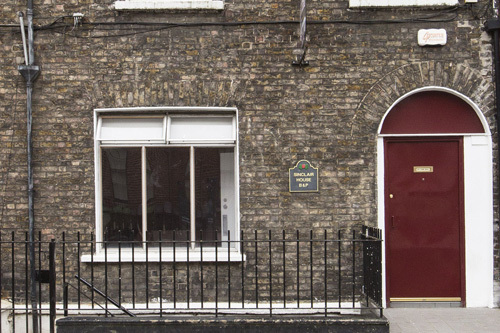 The Sinclair hostel is located in the center of Dublin city. We are on 3 Hardwicke Street, 200 meters from Parnell Square and 350 meters from O'Connell Street, the historic avenue in the heart of the city. 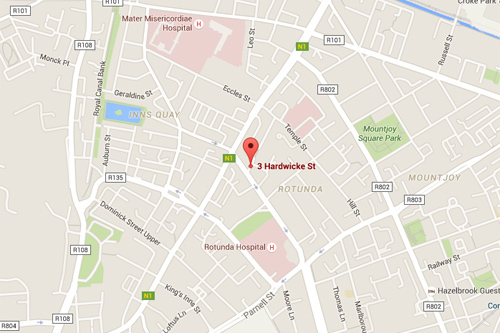 From Dublin Airport, you can take the air bus to O'Connell Street and we are a short walk from the corner of Hardwicke Street. We offer a variety of accommodation, double, triple and quadruple rooms. All our rooms are private with private bathroom. You can have the kitchen until 23:00 p.m.
Check-in is between 2 p.m. and 8 p.m.
Check-out is at 11:00 a.m. Extra time will be charged. The major stadium of the Aviva Soccer/Rugby and Croke Park are also within a couple of kilometres and are served well by public transport, as are the major concert venues of the 3Arena and the RDS.